This is the ultimate gift for the rev-head in your life! Taking them on an adventure behind-the-wheel of a powerful and luxurious sports car, this voucher is the perfect gift for any and all occasions! 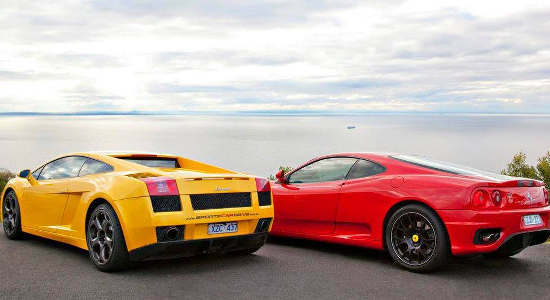 Choose to gift them a 30-minute or 1-hour drive in a Lamborghini or Ferrari, or a 30-minute joyride, and you'll have never seen a bigger smile on their face. Check out the different gift options below and buy a voucher online today! 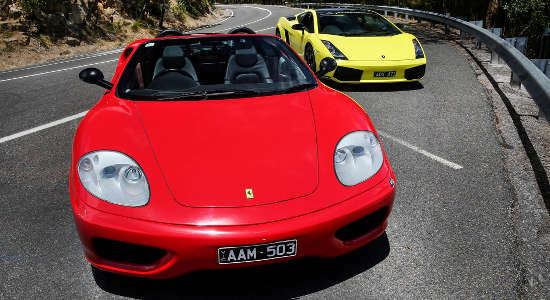 Gift a 30-minute supercar joy ride in a Lamborghini Gallardo or Ferrari 360 Modena in Yarra Valley, Victoria for the ultimate driving experience. Give the ultimate 30-minute driving adventure in Yarra Valley. Choose from a Lamborghini or Ferrari and gift to them online today! 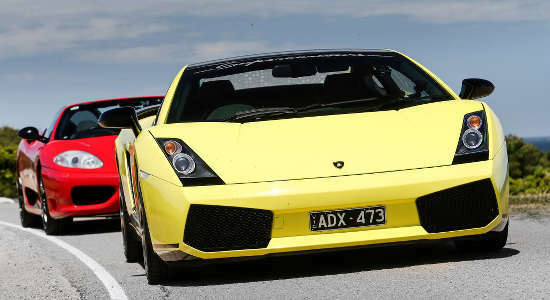 This 1-hour self-driving experience in a Lamborghini Gallardo and Ferrari 360 Modena is a great gift for the car-enthusiasts in your life.